Next up on the list? 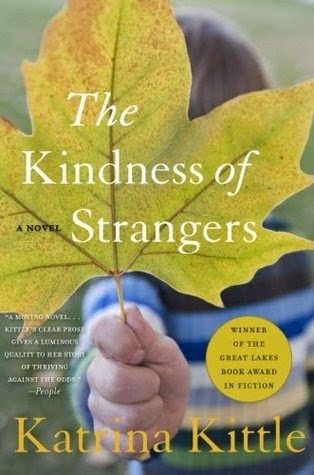 The Kindness of Strangers by Katrina Kittle should be arriving in my mailbox today. If anyone has read this one let me know what you thought! Also, now that you know my reading style, if ya'll have any recommendations let me know! Oh keeping these in mind for sure and that football one - LOVE!! I read the Kindness of Strangers a few years ago and it is so good! 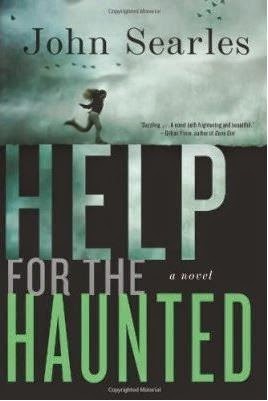 I've never heard of Help for the Haunted but now I kind of want to read it! Haven't read either but I love a good book recommendation! The Kite Runner was such a great book...but it was hard for me to read with all the pain and emotion it detailed. I can't really say I have a reading style bc I am terrible about reading books, but I tend to like stories that make me think a little bit but are still entertaining. But then again, the last book I read was Chelsea Handler's...so maybe I don't like anything that requires thought! Haha! If you want a good book that will make you cry read "The House of Sand and Fog" soooo good. Movie is goodt oo, but as always book is better! I've never heard of any of these but as much as I love a good easy beach read, I do love a good mystery too!! I've been envious of all the bloggers that have been reading up a storm this summer because I haven't even picked up the first book! I need to get on it! Don't worry, I've yet to even pick up a book this summer! SO bad! Jodi Picoult is my favorite author -- I could read My Sister's Keeper a million times over! Thanks for sharing! I always want to get a new book but I never know what to get so seeing other suggestions is a huge help! 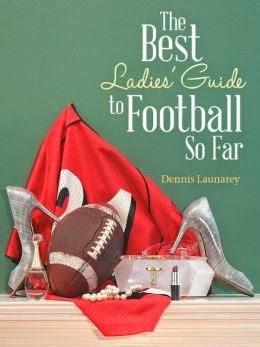 That Ladies Guide to Football sounds pretty fun for football season! I loved The Conjuring as well. Scaried me to death but only the best do! I want to check out Help for the Haunted now. It sounds similar to The Conjuring so I know I'll love it! You make the best housewife ever with your last recommendation! I'm right there with you on loving books that invoke a good cry! Oh girl I could not do the scary books! I'd have nightmares! I'm reading Gone Girl now and I'm enjoying it...though I keep thinking about going missing :-p I've been wanting to read some Jodi Picoult though! I love to read too and try to make it through 2 books a month! I get to pick the next book for my book club & I just can't decide.... Some recent books I've loved have been The Kitchen House & The Night Circus!